I am tired of hearing the words Oh my God or seeing OMG in text, so I wrote this poem, using found words in an essay by the President of the Uniting Church plus a kind of dictionary. as opposed to o micron, which means "little O." I can exclaim OMEGA. Be surprised, amazed. Are you responsible for fines incurred by a friend who drives your car? A student at Deakin University seems to be in lots of trouble after he lent his car when he went overseas. There were hundreds and hundreds of parking and Citylink fines imposed. Surely you just need to fix it up quickly, get the other fellow to pay up. Now it is thousands of dollars owing. A THIRD-YEAR Deakin engineering student from Saudi Arabia will be paying off his fines for the next nine years after a Magistrate ruled his English was good enough to read the infringement notices. Salem Balobaid, 27, of Highton, applied to the Geelong Magistrates’ Court to have his $37,098 debt from 106 fines reduced. Nathan Goetz, for Balobaid, said his client was overseas and lent his car to friends when some of the City Link and parking fines were issued but it was “regrettable” he didn’t try to sort it out earlier. Magistrate Ron Saines said it would be an abuse of the fine reduction legislation if he cut the debt as Balobaid’s studies showed he had a good grasp of English and would have seen how to handle or challenge the fines. Balobaid entered into a payment plan of $325 a month, and will serve 252 days in jail if he defaults. 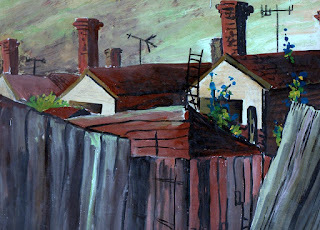 Years ago the streets of many of Melbourne's suburbs were shabby and rather ordinary such as this part of South Melbourne where I used to paint. Back lanes, broken fences, small houses. Well today, the houses are still small but are up-market, gentrified and the selling price might be a million dollars. Built in the 1890s perhaps but renovated so much they are almost unrecognizable with patios, backyard barbecues, neat pavings. No more dunny lanes. 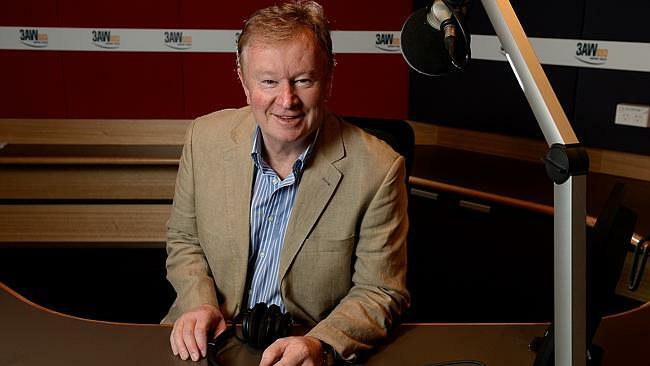 AS one of regional Victoria’s most recognisable faces and now the voice of Melbourne’s afternoon airwaves, Denis Walter needs little introduction. Walter has been awarded a Medal of the Order of Australia (OAM) in the Queen’s Birthday Honours List for service to the performing arts as a singer and entertainer, and to the broadcast media. 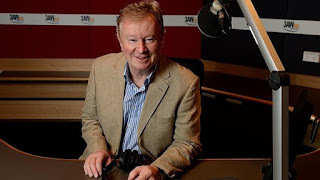 Host of 3AW Afternoons since 2008, Walter previously presented the regional news on WIN for 16 years and before that, the weather on Channel Nine. His music career has lasted more than 40 years and he has recorded 16 albums to date. Walter said he felt “humbled and reflective” by the award. “I’m not someone who thinks about the past, I’m constantly thinking about the future,” he said. In the Addie today is great uews for a revival of usefulness for the old Paper Mill at Fyansford above Buckley's Falls. FYANSFORD’s old paper mills could be transformed into an arts precinct with a function centre and low-density housing. The heritage-listed network of buildings are already used by a collection of businesses ranging from wire-woven heritage-style fencing to mosaic classes. Touring the site ahead of the public open day on Saturday, owner Alex Robins revealed he’d been talking to the council about his plan for a boutique hotel, main hall wedding and conference venue or restaurant and a strip of housing on either end. 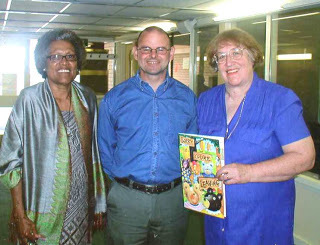 “History belongs to everyone not just the person who owns the building,” Mr Robins said. Mr Robins said he’d owned the State’s third paper mill for the past 15 years and was in no rush to develop, but with sewerage and infrastructure now connected, the timing was right. In the meantime, Mr Robins has worked to protect the bluestone buildings, cleared 250 tonnes of hard rubbish from the river banks and constructed walking trails. “I’m not panicked but (starting) in the next 12-18 months would be nice because the momentum has started now,” he said. Mr Robins estimated the main mill building would take 12-18 months to restore while art tenants continued to restore their own studio spaces. He said the site would be transformed in four stages, the last of which would be the residential element. Ubu Gallery owner Marcus Johnson, who has arranged the family open day, said the mill site — built in 1878 — was a hidden gem. His gallery inside one of the bluestone buildings will also celebrate its opening night on Saturday. “Everyone who’s seen (Mr Robins’ plans) has said it’s a great idea, it will drive the revival of Geelong,” Mr Johnson said. “I saw (the gallery space) and thought ‘I don’t know what I want to do with it but I want it. “I’ve fallen in love with Geelong and there’s no way I could do this in Melbourne. 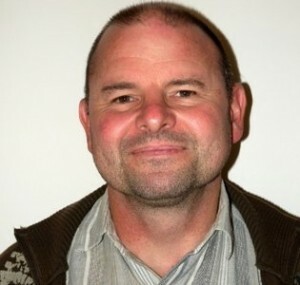 Mr Johnson said hundreds of people had already joined the event’s Facebook page and he was hoping it would get people sharing their memories and old photos of the site. The mill site on 100 Lower Paper Mills Rd will be open between 10am-3pm. Entry is free and picnics are welcomed. From Rags to Riches or Just Milling Around? 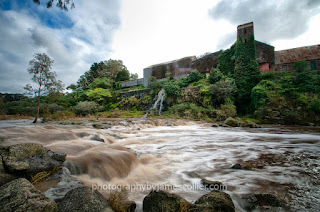 On the opposite side of the river from the old wheat mill, this new enterprise - the Barwon Paper Mill - drew its power from a channel running along the northern bank from Baum's Weir to the mill buildings below the Bunyip Pool at Buckley Falls. Unlike the wheat mill on the south bank, the paper mill and the complex of buildings which were associated with it, are still remarkably intact and as such are one of the most significant surviving examples of 19th century industry in the country. It is also one of the earliest and longest running examples of paper-milling in Australia and was operational until 1923. At the time of its opening, the complex was at the forefront of paper-making technology and its backers included such notable Geelong names as Silas Harding, James and Andrew Volum and William Francis Ducker. The mill buildings themselves were constructed from bricks and locally quarried bluestone with corrugated iron and the equipment was powered by a water turbine wheel whose performance was enhanced by an impeller housed in a tower which can still be seen facing onto the river. Likewise, the water race is clearly visible carrying water from the weir along its full length until it reaches the mill where in times of adequate supply, it tumbles down to the rocks below and back into the river. These mill buildings and their associated machinery were designed and built by the engineer Andrew Millar. The six workers' cottages and manager's house which also form part of the complex were designed by the Geelong architect Joseph Watts a couple of years after the original buildings in 1878. The cottages are the earliest example of company housing to be built in this state. They are still occupied as private residences and if the noises I heard last week are anything to go by, at least one is currently being renovated. Originally, they were used to house some of the 200 men whom it is estimated, worked in the mill, making over 40 different types of paper. Unlike today, paper-making processes in the Victorian era - and for 2000 years beforehand - relied on the pulping of old rags, rather than that of wood fibres and the Barwon Paper Mill was no different in this respect. The rags went through a number of treatments designed to break the fibres into small enough pieces to be formed into paper. An curious side effect of using rags, was the need to first remove any old buttons or fastenings which may still be attached to the cloth. This task was undertaken by women whose job it was to sit and remove the unwanted attachments. Once removed, the buttons were simply dumped in a pile near the mill site. It was this practise which gave rise to the name Button Hill for the land which rises to the east of the mill. According to descriptions by the Victorian Heritage Database, there are hundreds of thousands of buttons, beads and other clips and fastenings on the hill made from bone, ceramic, glass, metal and other substances. The site is located partially on private property which does not belong to the mill and currently still awaits comprehensive archaeological examination. In 1888, upon the death of Captain James Volum, on of the principal proprietors, the partnership dissolved and the complex was sold to the Victorian Paper Manufacturing Co Pty Ltd who in turn on-sold it in 1895 to the owners of two other paper mills in Melbourne and Broadford. 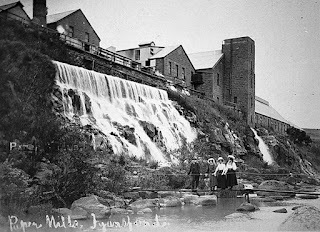 The three mills were then run jointly under the name of the Australian Paper Mills Co Ltd.
After paper production ceased, the complex was taken over for the manufacturing of ice before being commandeered in 1941 for use by the navy during World War II. Nowadays, the mill is privately owned and whilst no longer used for its original purpose, the buildings are utilised by a number of small businesses which operate out of the site. Unfortunately for those of us who are interested, this has the disadvantage of excluding access by the general public to the mill complex. So, for the present we will have to continue as I have done for several decades now, to view the mill from the south bank of the river.